Eliminate unsightly and unsafe excess wiring, pipes & clutter and reduce recurring contractor work in the future with Hood Depot’s superbly engineered UDS, now incorporating every innovation currently available and then some: Tamper-proof fabrication technique, the newest quick-connect appliance fittings and convenient service tower containing integrated fire system and power wash reel built-in! 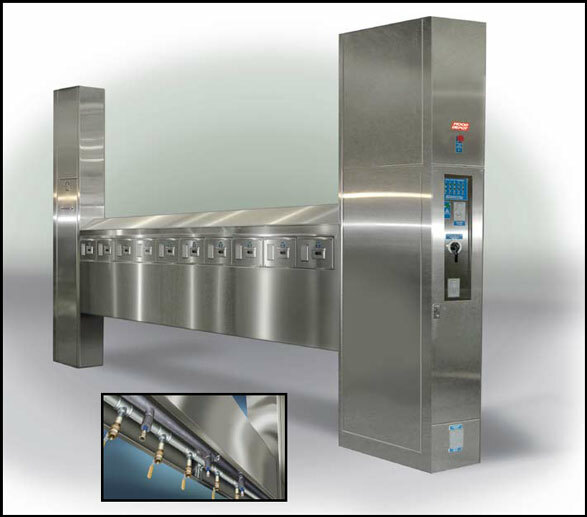 Safety features include automatic shut-off devices for gas and electric appliances, electrical Download Spec Sheet ground fault protection, safety rated steam fittings and an available state-of-the-art integrated fire suppression system pre-fabricated in an add-on cabinet. All sections faricated with 304 corrosion resistant S/S. All plumbing manifolds have multiple plumbing connectors for expandability. Electrical systems are also designed for additional appliances and equipped with reliable Busbar circuit system.